The University of California, San Diego will honor World AIDS Day throughout the week leading up to Saturday, December 1, 2018, to focus attention on and raise awareness about the impact that HIV/AIDS has had and continues to have in the San Diego community, the nation, and the world. Our campus sponsors a number of opportunities in recognition of World AIDS Day. World AIDS Day began globally on December 1, 1988, as a means to raise funds, increase awareness, fight prejudice, and promote education related to HIV/AIDS prevention and treatment. Since then the event has grown and is honored by governments, schools, businesses, and individuals around the world. At UC San Diego, the goal of World AIDS Day programming is to provide a forum for reflection, education, and action. We hope to engage our community in an ongoing dialogue that encourages each individual to be educated and take action to stop AIDS. We are pleased this year to have a wide variety of events planned for December 1, 2018. "HIV/AIDS at the Border: Binational Challenges"
Join The Zone to create a fun craft while learning about the variety of on-campus events taking place throughout the week to commemorate this global awareness event. Dr. Ankita Kadakia will be discussing the drug Truvada as pre-exposure prophylaxis (PrEP) and post-exposure prophylaxis (PEP), strategies that help prevent HIV infection. 12pm near Geisel Library - Scott Paulson of the UC San Diego Library will perform a special peal on the chimes atop Geisel Library to mark a moment of reflection for World AIDS Day. This event will be hosted by Tritons for Gender Equity and Center on Gender Equity and Health and is co-sponsored by the UCSD Center for AIDS Research and features a mixed media documentary on HIV in Swaziland followed by a panel discussion. Three sections of the AIDS Memorial Quilt will be on display in the Price Center Ballroom East. Additionally, there will be continuous screening of “Alternate Endings, Activist Risings” by Visual AIDS highlighting the impact of art in HIV/AIDS activism and advocacy; poster presentations of HIV/AIDS related research from UC San Diego students, staff, postdocs, and faculty in the Price Center Ballroom East; and a display of student pledges from each of the Six Colleges, which were collected throughout the week. A bike ride from San Diego’s Mission Bay South Shore Boat Launch to UC San Diego’s campus in La Jolla meeting on Saturday, December 1 at 7:30a.m. courtesy of San Diego participants in the annual AIDS/Life Cycle 545 mile bike ride from San Francisco to LA. ending at 10:00a.m. in the Price Center Ballroom East, this event will close with a viewing of the AIDS Memorial Quilt on display. The UC San Diego World AIDS Day planning committee is actively seeking new students, faculty and staff members. Please contact Shaun Travers at stravers@ucsd.edu, if you are interested in joining the committee. The World AIDS Day planning committee meets weekly on Thursdays during the fall from 2:00pm 2:50pm, and then in a more limited capacity in the winter and spring terms on Thursday’s from 2:00-2:50pm. The World AIDS Day planning committee was formed in 2002 and is comprised of faculty, staff, and students at UC San Diego. A hallmark of the committee is bringing the AIDS Memorial Quilt each year to UC San Diego’s campus.  The World AIDS Day planning committee charge is to plan and implement events related to UC San Diego’s honoring of World AIDS Day, December 1st of each year. This work first was begun by the student organization Student Health Advocates (SHA) with the support of Student Health Services – Health Education in the early 1990s as the AIDS pandemic swept across the world. In 2002 the committee was officially formed to plan events from a University-wide perspective. Committee members should demonstrated support of the UC San Diego Principles of Community; a willingness to serve on the World AIDS Day planning committee for a one-year term; the ability to serve at least 5 hours a month to attend full committee and subcommittee meetings; and sensitivity to issues of HIV/AIDS, health, human rights and diversity. Please contact the Chair of the World AIDS Day planning committee, Shaun Travers at stravers@ucsd.edu, of you are interested in being on the committee. World AIDS Day events are co-sponsored by a number of student organizations, departments and divisions at UC San Diego, including the Vice Chancellor for Equity, Diversity and Inclusion; LGBT Resource Center; Student Health Services; Student Health Advocates; School of Global Policy and Strategy; School of Medicine; LGBT PhAM; Art Power; Associated Students (AS); the AIDS Research Institute; UC San Diego's Center for AIDS Research (CFAR); the HIV Institute; University Centers; Housing*Dining*Hospitality; Equal Opportunity Services; Study Abroad; Women's Center, Black Resource Center, Raza Resource Centro, Cross-Cultural Center, Intertribal Resource Center; Students for Global Health; Health Promotion Services; the Council of Coordinators of Student Activities; and many committed individuals throughout the University community. Additional support comes from community organizations, including Family Health Centers of San Diego, and the San Diego LGBT Community Center. and many committed individuals throughout the University community.